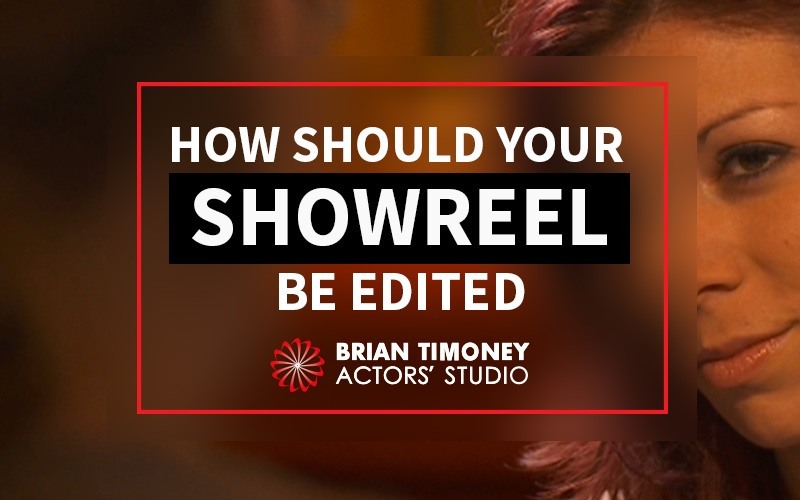 How Should Your Showreel Be Edited? Posted on May 28, 2017 at 12:00 pm. The importance of an actor’s showreel cannot be overstated. It’s the clearest, most compelling advert for exactly what you can do and a key tool for professional actors to land auditions. Editing your showreel correctly is therefore absolutely crucial. There are a number of aspects to a great showreel, but it’s not just about the content. How you put that content together can change a collection of video clips into a powerful and engaging demonstration of just what you have to offer. Getting the edit right is so vital we’ve decided to put together our top tips on how to cut together the perfect acting showreel. If you’re going to edit your showreel yourself (see below for the pros and cons of hiring an editor) then you need some solid editing software. There are loads of great free editing programs you can chose from with Windows Movie Maker and Lightworks being two of the most popular. If you are going to splash out and pay for software, Final Cut Pro is a good choice. However, paying for software is only likely to be worthwhile if you plan on doing a lot of video editing in future. One thing to bear in mind is whether your computer is powerful enough to make doing your own video editing realistic. Again, it is probably not a good investment to buy a brand new PC just to edit your showreel. But, if you are planning on doing a lot of other editing or are due to upgrade anyway, it may be worth looking at computers suitable for good quality video editing. Top tip: If you have little or no editing experience, there are a huge number of tutorials on YouTube for pretty much all major editing applications. As long as you’re willing to put a bit of time into learning how it’s done, you should be able to get the hang of it. Does this reflect the best standard of my acting? Does this show off a particular aspect of my acting that other clips don’t? Is the quality of the footage good enough to give a professional impression? By assessing each separate piece of footage against these criteria, you should be able to narrow your choice of clips down to those which show off your range to a good standard while looking professional. You then need to begin the task of cutting the clips down and deciding how to order them to have the biggest possible impact. Top tip: One mistake a lot of people make is including scenes where it’s not 100% clear which of the actors is the subject of the showreel. This can be especially problematic if the first scene is one where you are acting against someone of the same gender and a similar age and look. Try to make your first scene one where you are acting alone or against someone obviously quite different to you in appearance so there is no risk of confusion. Agents and casting directors are busy people, so they’re not going to sit through a ten-minute epic to decide whether they want to use you. In most cases, they’ll probably only watch about 30 seconds worth. In general, your showreel needs to be less than three minutes, with one-two minutes being ideal. The length of your showreel will depend to some extent on how long you have been acting and how much good quality footage you have. Don’t be tempted to pad out your reel with lower quality clips, or allow any one segment to overrun. If you are relatively inexperienced one minute may well be enough. If you only have one or two roles to your name and a particularly long showreel, it is likely to ring alarm bells for the people you send it to, rather than impress them. Likewise, be wary of letting each clip run on for too long. Be absolutely clear what the point of the clip is and use the smallest section of footage (within reason) that shows off that particular aspect of your acting. Using several fairly short clips will make your reel feel faster paced and keep it engaging. Top tip: Although you don’t want your clips to be too long, don’t fall into the trap of turning your reel into a montage either. Give each clip room to breathe and get its point across before moving on. If you try to cram in too many short clips you will end up spreading yourself too thin and it’s unlikely any of the individual performances will have time to make a strong impression. This might seem obvious, but it’s something people often overlook – make sure you put your best work at the start of the reel. The reason for this is a) it makes a good first impression and b) people may not bother watching the whole reel if you don’t grab them right away. Many agents and casting directors only watch the first 30 seconds of a reel before moving to the next if nothing they see has got their attention. Start strong and you hugely increase the odds of people sitting through your whole showreel. There’s also another good reason to put your best stuff first. In some ways, editing a showreel is like planning a stand-up comedy set: starting strong lets the viewer relax, knowing they’re in safe hands. This means they are primed to see you positively so will tend to be more generous towards the rest of your material. Hit them with two or three of your best clips at the start and everything else will look better as a result. Top tip: Don’t make the mistake of dumping all your less impressive stuff at the end of your showreel. You want to start and end strong. Save one really good, impactful piece until the end so that, if people do watch the whole thing, their final impression is a good one. People are most likely to remember the first and last thing they see in a series, so bookending your showreel with two very strong performances will increase the chances of making a great lasting impression. Is it worth paying for a showreel editor? The tough reality for most actors starting out is that money is going to be tight for a while, so paying a professional editor to put your showreel together might seem like a luxury. However, you have to remember that you are trying to present yourself as a professional and therefore your showreel has to look professional. You need to be completely honest with yourself about how likely you are to be able to get your reel to an acceptable standard. If your showreel looks like it has been cobbled together by an amateur, it will distract from your acting and may make it look like you aren’t serious about building a career. If you can finish your reel to a good standard though, one advantage is that you’ll be able to add new clips and make amendments easily yourself, rather than having to keep going back to your editor and paying more for and changes and updates. Top tip: If you do decide to self-edit, keep a track of how long you are spending doing it. Chances are it will take you a lot longer to edit your reel to a good standard than it would a pro editor. Timing yourself means you can see if the saving is worth it or is ultimately a false economy. Getting the hang of editing showreels is just one of the skills aspiring actors need. You might not think it’s important, but trust us – it can make the difference between success and failure in your acting career. Understanding the business of acting is just as important as having professional-quality acting ability. Without a solid grasp on how the industry works, you will struggle to take your newly acquired skills to the market, making it much harder to become a true professional actor. 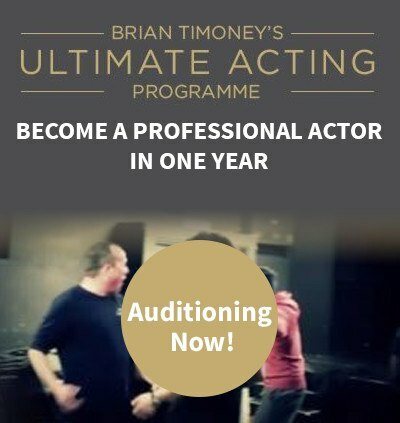 At the Brian Timoney Actors’ Studio we specialise in both world-class method acting tuition and coaching our students in how to get out there and start landing paid work. That means each of our students leaves us ready to start their professional acting career straightaway.